This online event is organized by my Feldenkrais colleague Cynthia Allen and runs from May 1-10 featuring 17 speakers addressing MInd/Body/Feldenkrais topics. 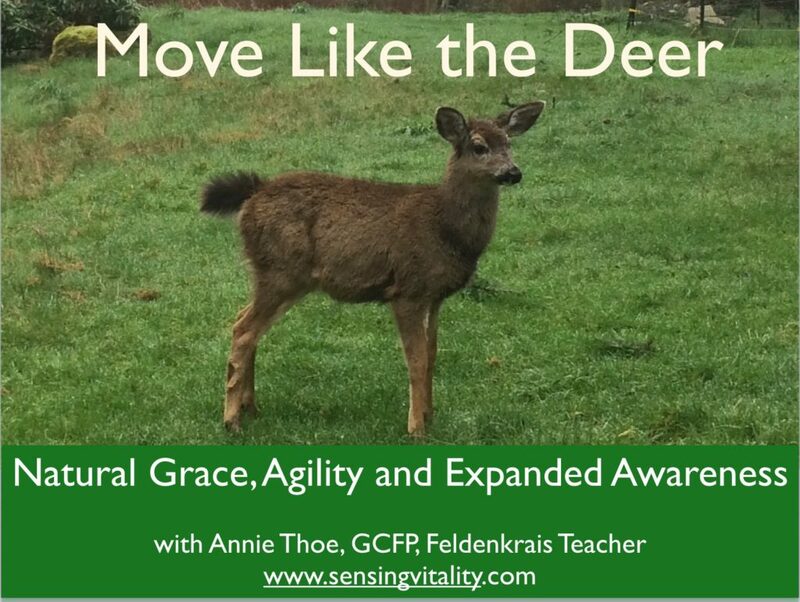 Lavinia Plonka, author and Feldenkrais Teacher will interview me about my nature awareness work and I’ll teach three practical lessons I’ve adapted from my nature study for agility and expanded mind/body awareness. For Information and to Register use this link (my link helps me financially benefit for those who decide to purchase summit bonus materials.) I’m attaching Cynthia’s inspirational invitation letter to the summit at the bottom of this page. From Cynthia Allen – Organizer of 2019 Feldenkrais Summit…. In the movie “Gravity”, a character played by Sandra Bullock tumbles in space and gasps for breath as a calm voice asks her for any kind of coordinates. Her GPS is broken. All she sees is darkness. She and her fellow astronaut, Nick Clooney, try to map out the territory…to find where she is and somehow retrieve her. The Map IS the Territory, the theme of the upcoming Feldenkrais Awareness Summit, has wide ranging implications. We might begin with what it means to have no map and no clear idea whatsoever of where we are much less where we are going. No doubt there have been times in your life where this was your feeling. I know there have been for me. I am currently working with a woman with an anoxic brain injury, and I suspect her internal experience is something very similar to Sandra’s character, floating in space with little she can anchor herself to or move towards. My client’s team, her guides, are trying to help her discover useful coordinates. Navigating life is an adventure, and while we may never be astronauts, we each encounter challenges that make us question the validity of our map. We wonder whether our map is useful at all. And that may be the good news. That we question may be the good news! I hope you will tune into the Feldenkrais Awareness Summit on May 1-10 with our 17 presenters as we explore The Map IS the Territory and all the implications of that statement.